design, engineering, construction, installation and start-up of chemical processing. What is the Most Recycled Product in the U.S.? The US Environmental protection Agency states: “Almost any retailer that sells lead-acid batteries collects used batteries for recycling, as required by most state laws.” Reclaimers crush batteries into nickel-sized pieces and separate the plastic components. They send the plastic to a reprocessor for manufacture into new plastic products and deliver purified lead to battery manufacturers and other industries. 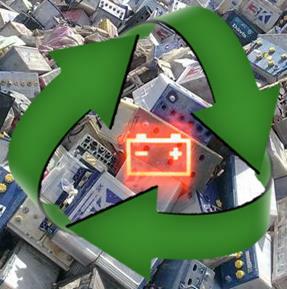 A typical lead-acid battery contains 60 to 80 percent recycled lead and plastic. What’s the only component of the Battery not recycled? “ACID?” The question is “WHY?” when technology exists to also recycle this component of the battery. 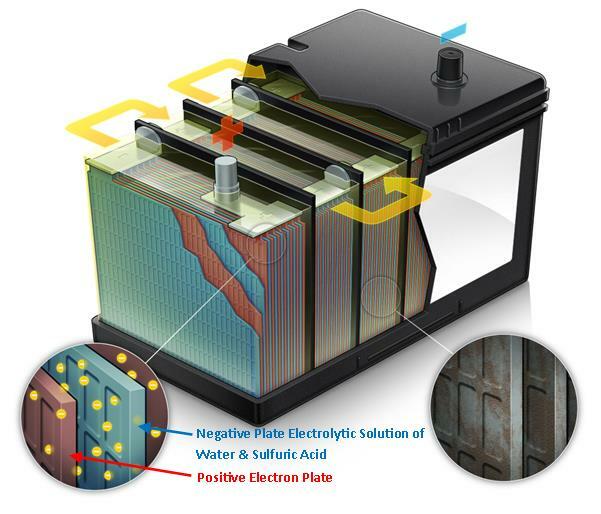 Automobile batteries contain sulfuric acid, which is commonly referred to as "battery acid". Sulfuric acid is highly corrosive, will burn skin and eyes if contact is made and is poisonous if swallowed. When a battery is cracked, or crushed, during the recycle process, the sulfuric acid is collected. This acid contains several toxic heavy metals such as copper, zinc and lead. handling the waste sulfuric acid. Recycling of batteries almost 100% completely recycled? This magnitude of waste acid does not need to be generated seeing there is technology today to remove the contaminates in the acid and reuse the sulfuric acid in the batteries. Mech-Chem Associates, Inc. has worked with several recyclers and manufacturers over the last few years. Each using a lab unit to experiment on removal of contaminates in the acid as well as acid strength returned after passing through the dialysis process. Based on the correspondences we had with these companies, after they had generated enough acid to Beta test batteries, it was noticed by both the sales team, management and engineers that there seemed to be no degradation in the performance or life of the batteries manufactured with the reclaimed acid versus there standard manufacturing practices using new Sulfuric Acid. 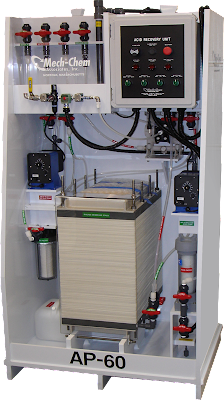 Battery Manufacturers stand to save significant money on not having to purchase new sulfuric acid and avoid treating and disposing of all the liquid waste. This would also benefit the environment. The only item which seemed to stand in the way of implementing this technology is the potential concern by the battery manufacturers that the quality of the acid in the batteries would be effected. This however has not happened as the test batteries produced with recycled acid have demonstrated and proven to have the same quality. How many batteries are recycled each year? How much acid is contained in those batteries? I guess “change of ways” sometimes comes slower than “change and advancement of technology”.